You've been waiting for this moment, and it's finally here! In her opening remarks, ACNM President Holly Powell Kennedy will unveil an exciting new ACNM consumer PR campaign that will lead US women to a better understanding of the value of midwifery care. Soo Downe, BA, RM, MSc, PhD, spent 15 years working as a midwife in various clinical, research, and project development roles. For more than a decade, she has worked at the University of Central Lancashire in the United Kingdom, where she is professor of Midwifery Studies. She currently chairs the UK Royal College of Midwives Campaign for Normal Birth Steering Committee, and she recently chaired the joint Royal College of Obstetricians and Gynecologists/National Patient Safety Agency subcommittee on the nature of evidence for maternity care. Her specific focus is the normal physiology of childbirth, including the processes that can maximize normal birth, with a focus on understanding the nature of positive wellbeing as opposed to simply reducing pathology. Downe will discuss the recent changes in both society and health care that affect birth. for the 21st Century Act" (MOMS 21) bill (H.R.2141) of 2011, Rep. Roybal-Allard is the premier champion in the US House of Representatives for improving the quality of care for mothers and babies. Frances Day-Stirk, MHM, ADM, DN, RM, RN, is the president of the International Confederation of Midwives and director of Learning Research and Practice Development at the Royal College of Midwives (RCM) in London. 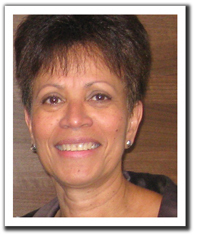 Day-Stirk grew up in Jamaica and has been a midwife for more than 30 years in the United Kingdom. She represents RCM on the European Midwives Association and also sits on the committee of the European Forum of the Nursing and Midwifery Associations of the World Health Organization (WHO). Her talk will explore the role of ICM and its member associations in keeping women and children's issues high on political and economic agendas worldwide. 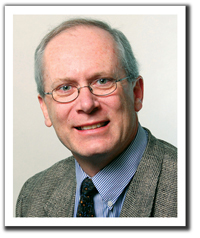 William McCool, CNM, PhD, RN, is director of the midwifery graduate program at the University of Pennsylvania School of Nursing. His research explores the biobehaviorial factors that can influence women's labor and delivery experiences. Along with Mamie Guidera, CNM, and ACNM Professional Practice & Health Policy Director, Tina Johnson, CNM, McCool will discuss data regarding malpractice cases and CNMs/CMs to determine if trends exist that will enable midwives to improve practice and avoid litigation. 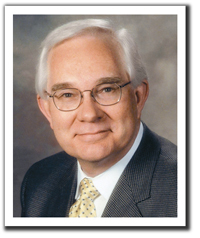 James N. Martin, Jr., MD, is the president of the American Congress of Obstetricians and Gynecologists (ACOG). His clinical expertise lies in the management of complicated pregnancies, particularly those related to hypertensive disorders. Last May, Martin announced that he would focus on preeclampsia and hypertensive complications of pregnancy during his leadership at ACOG. During his lecture, Martin will present the newest developments in improved care for patients with preeclampsia and eclampsia, and how ACNM and ACOG can work together for improved collaborative care. Maternity care quality improvement is in the national spotlight thanks to public and private sector collaboration focusing on improving quality, outcomes, and value of care provided to mothers and babies. Performance measurement, reporting, and transparency play a critical role in helping to set priorities for maternity care quality improvement, implement strategies to achieve these priorities, and measure improvement. Three top experts in maternity and women's health care will provide an overview of the perinatal performance measurement landscape: where we are now, where we want to be in the future, and implications for midwives, mothers, and babies. 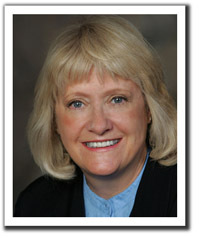 Ann Scott Blouin is Executive Vice President of Accreditation and Certification Operations at The Joint Commission. She is responsible for leadership of accreditation/certification for more than 19,000 health care organizations and programs, including surveys, eligibility, customer account management, and federal compliance requirements. 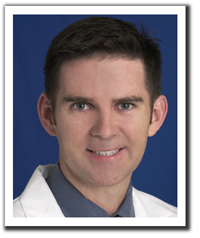 James D. Byrne, MD, is chief of Obstetrics Services at Santa Clara Valley Medical Center in San Jose, CA. He is a member of the Executive Committee of the California Maternal Quality Care Collaborative, a leading national organization in improving perinatal care. 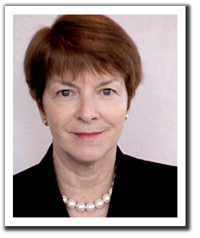 Maureen Corry, MPH, has served as executive director of Childbirth Connection since 1995, positioning the organization as a powerful and effective advocate for evidence-based maternity care and maternity care quality improvement. She has 30 years experience as a researcher, educator, and policy analyst on maternal and newborn health issues.